The second music video of BTS! "We Are Bulletproof Pt.2"
It is a song based on TRAP Music getting attention from the American hip-hop scene at the moment. The simple yet powerful drum sound is added on the main riff. It is not a familiar genre in popular music but the addictive melody and rough hook mesmerize the listeners right away. The lyrics talk about the ambition of the rookie group's challenge in K-pop industry. The song can be referred to as 2013 version of 'We Are Bulletproof Pt. 1'. Comparing the two songs, you'll be able to recognize how much BTS has grown up for the past three years. 방탄소년단의 두 번째 뮤직비디오! "We Are Bulletproof Pt2"
현재 미국 힙합씬에서 주목하고 있는 트랩뮤직(TRAP Music)을 기반으로 한 곡으로,메인 리프 위에 심플하면서도 강렬한 드럼 사운드를 더했다. 대중 음악에서 좀처럼 도전하지 않는 낯선 장르이지만 중독성 있는 멜로디와 거친 훅에 순식간에 매료된다. 가요계에 도전장을 내민 방탄소년단의 당찬 포부를 가사로 풀어냈다. 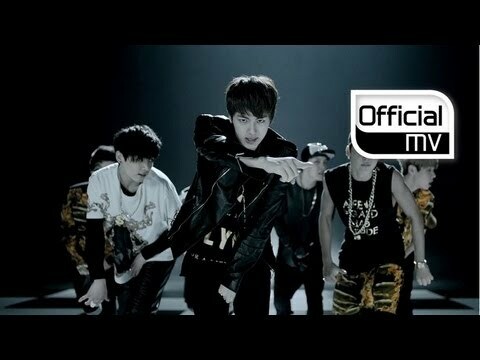 이 곡은 2010년에 믹스테잎으로 공개한 'We Are Bulletproof PT.1'의 2013년 버전이라고도 할 수 있다. 두 곡을 비교해 들어보면, 3년 사이 일취월장한 방탄소년단의 실력을 감상할 수 있다.